If you want to learn how to crab, you need to learn how to use a crab trap. Today we will go over exactly how a crab trap works, and then you will be able to start your crabbing adventure. After all, crab fishing is an excellent outdoor activity. In fact, it is one of the most popular outdoor activities in the US! But whether you are fishing for fun or fishing for dinner, it is essential to understand how to use a crab trap. If not, it is very unlikely that you will catch any crabs at all. 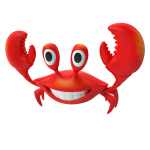 Thankfully learning how to crab isn’t difficult at all – and once you get the hang out it, you should easily be able to catch multiple crabs in one day. It is also possible to buy crab nets for kids, so you can make crabbing a fun family adventure! But what exactly is a crab trap? And how do you use one? It is a fairly simple contraption with bait inside that you lower into the water. When a crab gets a whiff of the bait, they walk right into the trap – and then you can simply pull it out of the water. While it is possible to fish for crabs using a crab trap rope, if you are a beginner it is much easier to use a proper crab trap basket. This is because it requires less skill than a fishing rod crab trap, and you can leave it out for longer. Now we will go through how to use a crab trap, and then we will give you some useful crab trap tips and tricks to improve your technique. Happy crabbing! It is very easy to use a crab trap. This is because the fishing process is very simple, as it doesn’t require much human effort. All you need to do is buy a trap (or alternatively you can make your own), some bait, a line, a rope, a buoy, and you should be good to go! Just make sure that you choose a weighted line, and this will sink in the water with the trap. If you decide you want to try making your own trap, you will need to buy crab pot building materials. This includes new crab pots, a crab trap line weight, a crabbing tackle and a net. If you want you can try making a crab net, but this is quite difficult; many people get the size of the holes in the net wrong, which makes it harder to contain the crabs. This is why most people choose to buy a complete crab fishing kit instead! There are lots of crab trap manufacturers to choose from, and traps are cheap and easy to buy. Once you have bought these things, you can hang the bait inside the trap using rope. Some traps already come with a line attached inside, but with others you will need to attach the line yourself. Once you have done this you can attach bait to the line. Razor clams are a popular option as they are already part of the crab’s natural diet, but you can also use fish. Either way it can be useful to cut the bait in half, as this will give off a stronger smell, which in turn will attract more crabs. Make sure that you tie the bait securely, as strong sea currents can easily dislodge it! Once the trap is ready, you can attach a long rope to the top, and then attach this to the buoy. It can be useful to choose a bright buoy, as this will make it much easier for you to find it later. Now your trap is ready, so all you need to do is take it to the sea and drop it to the sea floor. Then you can wait; simply check the box every 30 minutes to see if you have caught anything. While this basic guide is useful, if you really want to succeed with crab fishing you should also learn a few tricks of the trade. This will vastly increase your chances of a successful crab hunt! If you want to learn how to make crab pots at home, you will need to buy a few crab catching tools. This includes mini crab pots (or a crab and lobster pot), crabbing net bags, crap trap markers, crab fishing tackle, a crab pot bait box and crab net floats. Sure, there are a lot of crab pot manufacturers, but it is a lot of fun learning how to make crab traps! So without further ado, here’s how to make a crab trap out of chicken wire. First you will need to cut chicken wire into six meshes pieces. It is possible to buy heavy duty crab nets instead, but this isn’t as durable as chicken wire. This is because a stainless crab trap is more rigid and strong. Once you have cut the wire, you can bend it into 90 degree angles into the next piece of mesh. Do this until you create a sealed box shape, and then cut two holes so the crabs can crawl in. This crab trap set up is pretty simple, and it means you don’t have to worry about learning how to tie a crab trap knot or how to use a pyramid crap trap. It also means you don’t have to learn how to use a blue crab trap; instead you can catch a wide range of crabs with this trap. Of course, if you want to learn how to catch blue crabs on the beach this trap is still a good option. Just make sure that the holes aren’t too wide, as this will make it easy for the crabs to escape. Once you have made the holes, you can place the line inside for bait. Make sure this line is strong, as the bait should be at least 4 inches wide. This crap trap setup may seem simple, but it is very effective! You should also bend the wire inside the trap, so that you can easily put your hand inside the crab trap hauler without scratching it. Now you can bend two pieces of wire into tubes, then put them in the holes to create tunnels the crabs walk in. The next step involves cutting two small doors out of the wire, and then adding them to the end of each tunnel. Make sure you use a small piece of rope to ensure the door can only open inwards, not outwards. Finally you can add a study rope to the top of the frame, and you should be good to go. DIY crab basket traps are ideal for people who want to build their own cage. It is the best crab cage as it requires little skill, and you don’t have to spend lots of money on crab catching equipment and crab pot parts. In fact, it is even cheaper than buying basic metal crab pots or steel crab pots! You can have the best crab nets and crab fishing tools in the world, but if you don’t know what you’re doing you still probably won’t catch anything. Here are a few techniques and tips for setting crab traps. There are a few different things that you can use as crab net bait. This includes razor clams and fish, which are both part of the crab’s natural diet, but you can also use chicken necks. Sure, crabs don’t normally get any chicken in their diet, but it seems that they love chicken necks just as much as razor clams. They also enjoy other poultry gizzards, but they don’t seem to be too fond of chicken breast or thighs. So save those bits for yourself, and give use the cheap parts as bait! If you buy well contained traps, you will be able to leave them underwater overnight. This is a great way to increase the amount of crabs inside the trap, but you must make sure that you buy a crab pot that the crabs won’t be able to escape from. Crabs tend to live in areas with water currents, so it can be useful to place the trap in an area with a current. This should make it easier for you to catch more crabs, but you should still pull the trap up within the first hour see if there are any crabs in the area. If not, move the trap to a new location and wait an hour again. The main types of trap are the ring crab trap, the pyramid crab trap and the box crab trap. All of these designs use a frame and a net to catch the crabs; the difference is the shape of the trap. Ring traps contain two rings, and normally the upper ring is bigger than the second ring. The second ring is covered with a net, and this is where the crabs are caught. A pyramid trap is similar to a ring trap, but instead it makes a pyramid shape on the sea floor. This tends to be more stable than a ring trap. A box trap has a rectangular shape, and this trap requires the least human involvement. This is because it is harder for the crabs to escape, so you can leave the trap out overnight without any crabs escaping. However with a ring trap or a pyramid trap it is possible for the crabs to escape, so you should check them every 30 minutes so you don’t lose out. 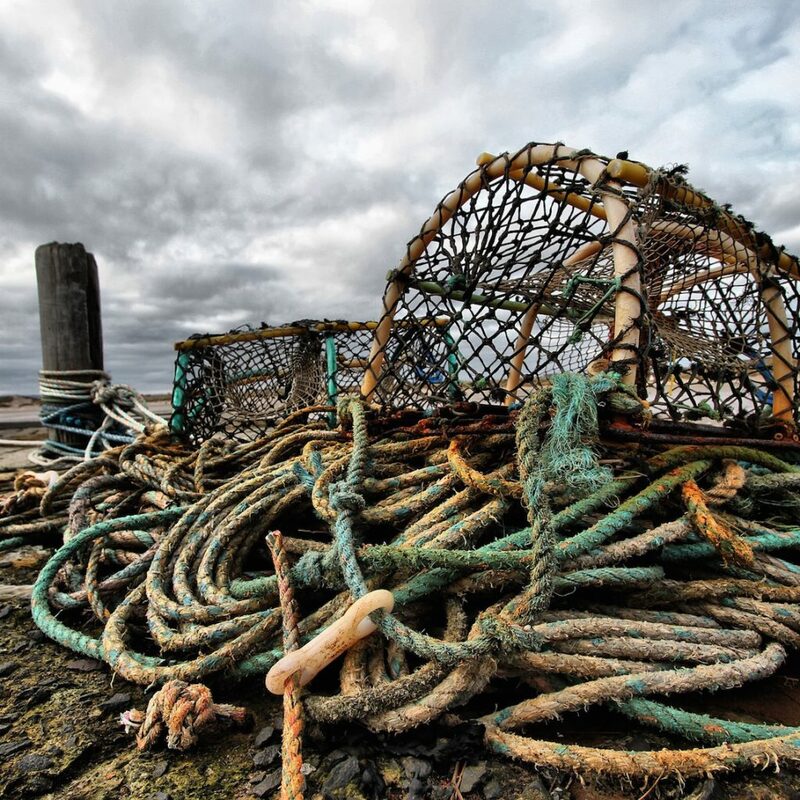 You may also be wondering about crab snare traps, and how to make a crab snare trap. This requires a knotted line, which you can attach to a weight on a rope. Lower the knotted line to the ocean floor, and when you feel a crab pull on the line you can pull it up. This is effective but it requires constant human supervision. If you want to catch crabs right next to the shore, you may want to use a line instead of setting crab pots in rockpools. Simply tie a small piece of bait to the end of a line, and start to pull up when you feel a bite! Make sure you don’t pull up too quickly, though; if you do, the crab will realise and let go. This is ideal for people who want to know how to catch blue crabs at the beach, as it is fairly easy to catch them with a line. Crabs are an excellent source of food as they contain lots of protein and nutrients – but even if you don’t want to eat them, crabbing is still a lot of fun. It is a great way to get out of the house and connect with nature, and it can be very relaxing. You just need to make sure that you know how to use a crab trap before you try!